You are invited to apply for entry into the 30th Annual Art in Gadsden: Regional Exhibition of Fine Art. 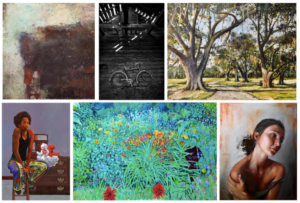 A tradition of the Gadsden Arts Center & Museum since 1989, Art in Gadsden draws visitors and patrons from across the region each year to experience art by the area’s top artists. The exhibition will be on view at Gadsden Arts from July 13 to September 8, 2018. All artists, whether new or returning, established or emerging, who reside within 200 miles of Quincy or are former residents of Gadsden County, are welcome to apply! To enter, submit a fully completed Art in Gadsden exhibition application online by midnight on May 18, 2018.